We'll Find The Right CNC Machine For You! Silverlight CNC has a large network of industry contacts and the experience to buy and sell your machines. We specialize in used Mori Seiki, Haas, Daewoo, Doosan, Mazak, Okuma, Kitamura, Toyoda, Fanuc Robodrill, Brother and more! 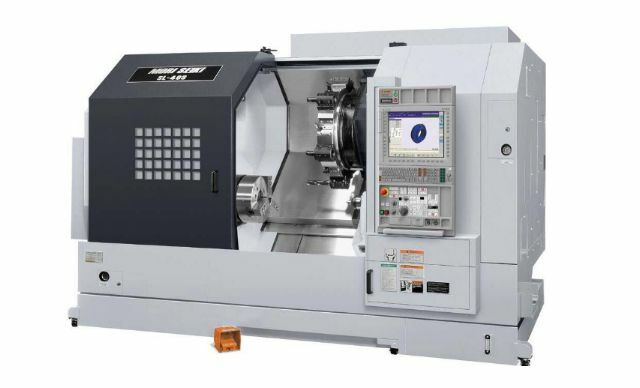 Fanuc 15T Control 12" Chuck Programmable Tailstock Swing over bed: 21.25" | Max turning diameter: 13.78"
Silverlight CNC specializes in the buying and selling of Used CNC machinery. Our knowledge of CNC machinery and experience in the manufacturing industry gives you the advantage. We are dedicated to being your source for quality used CNC machinery at affordable prices.